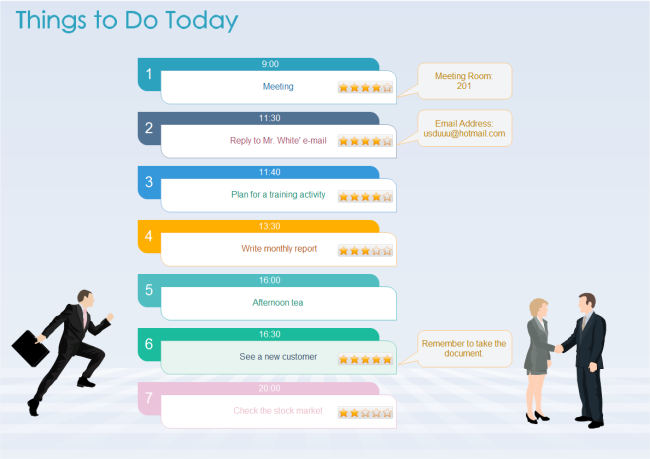 Description: A free customizable to-do list template is provided to download and print. A to-do list helps you track your daily task and arrange things better. With this list shape you can easily add and delete an item, and use priority bar to indicate the importance.